The Towers development at Elizabeth Quay is situated as close to the Swan River as possible. You are surrounded by water. This one bedroom unit has space to spare for a single or for that trendy couple that want all the facilities of the city at their doorstep, but none of the hassles of looking after gardens or pets. Ideal also as that city getaway if you live overseas or in the country. 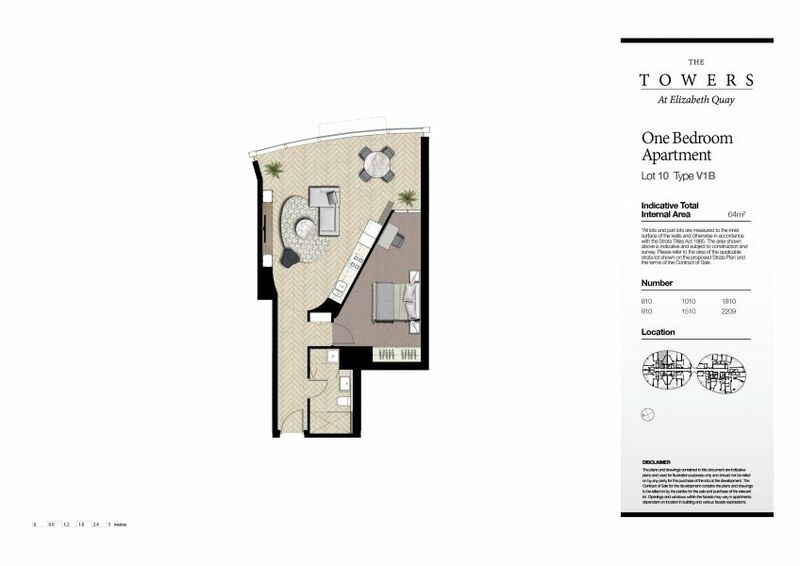 Innovative style with indoor outdoor balcony, auto closing glass covered balcony.Larger units are also available, two and three bedroom, but be quick, units in the Towers are selling fast. 80% are now sold. Construction is well underway with completion anticipated to be in 2019. 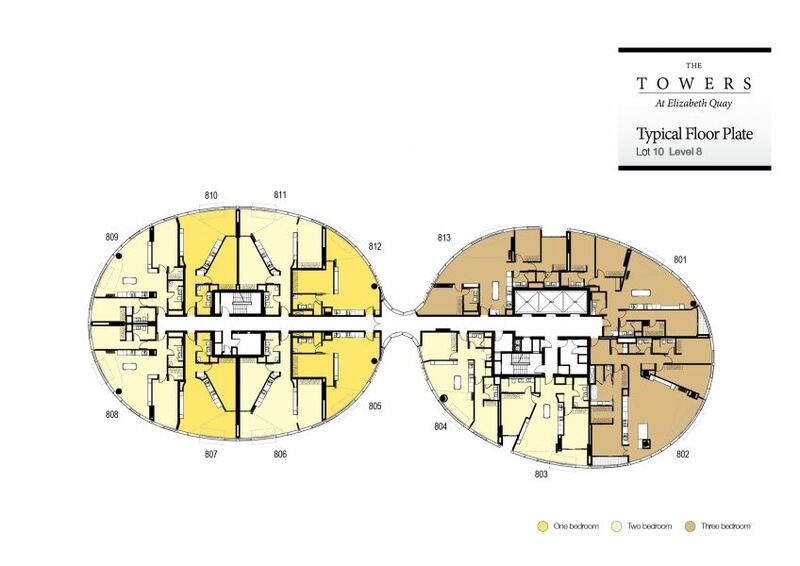 Two bedroom units sell from approx $1.1 Mill, and Three bedroom units are priced from approx $1.9 Mill. The land component in lots 9 & 10, which make up the Towers was $25 Million. Similar sized blocks in the Quay have sold for three times that amount, so logically speaking these new developments will have to be selling at a vastly higher price, just to give a return to the developers. There is no doubt that the market in Perth has been very flat, so we are now at the bottom of the cycle. There are definite signs of the turn around in the economy. Employment levels are improving, while the mining construction boom has softened, there is more iron ore being shipped now than ever before and Lithium is up and about. Direct flights to Europe start soon and hotel accommodation in Perth is now the cheapest in years. The future looks bright. Get in now, before the inevitable price rise. I have access to the sales office at the Towers, but only by appointment, so give me a call to organise a visit.